There's always a Google A/B test going on in the background to figure out what could get users to better discover options or take them to what they're looking for faster. One of these tests was a series of search shortcuts that had a very distinct circle design in the Google Now (now known as Feed) page right below the search bar. 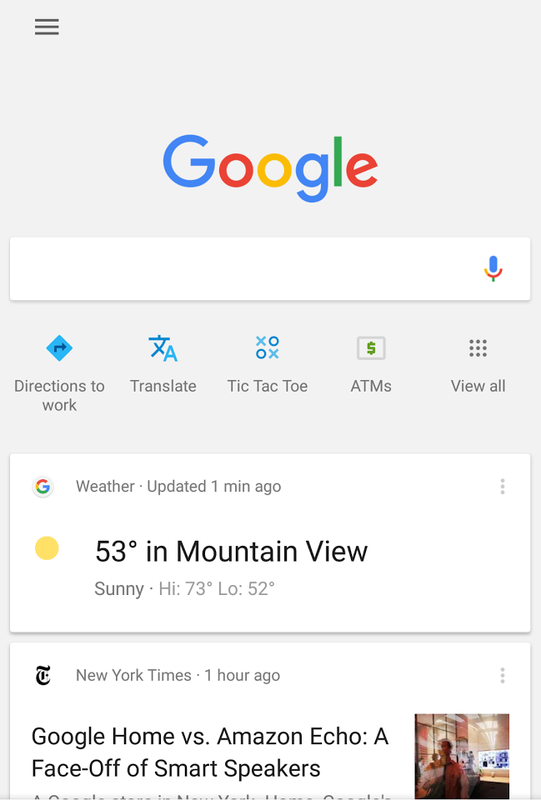 That interface didn't spread to a wider user base, but it appears that Google is still toying with the idea, albeit in a different look. Below are a couple of screenshots from two different users who are seeing these shortcuts or hints below the search bar. 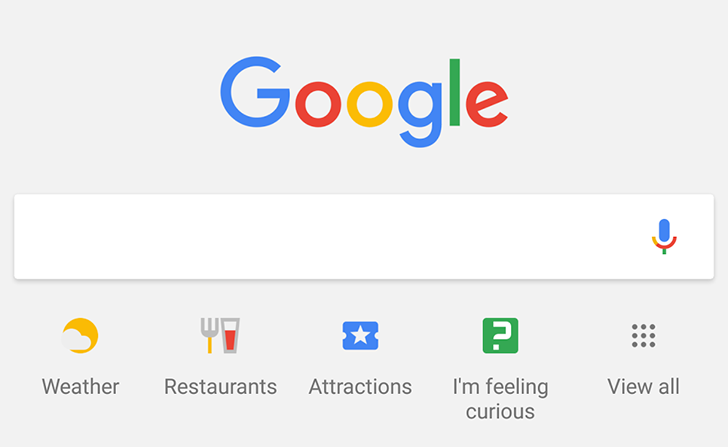 They're not rounded anymore, instead they're more colorful and more varied in showing different options to help you discover what you can ask of Google. I don't have this layout on any of my devices despite being part of the Google app beta, and we haven't received many tips about them, so this seems to be a very limited A/B test. 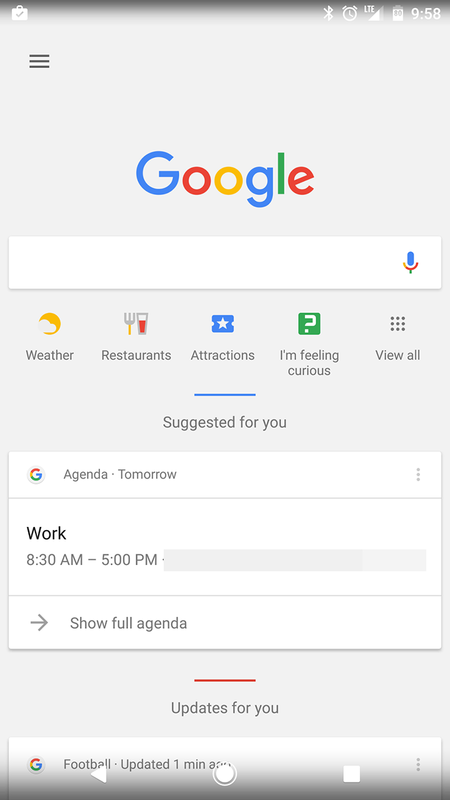 However, the fact that Google is still tinkering with the layout and presentation of these shortcuts two months later is a sign that they might be seeing some potential there and haven't abandoned them yet.